There’s a new way to freeze your face. 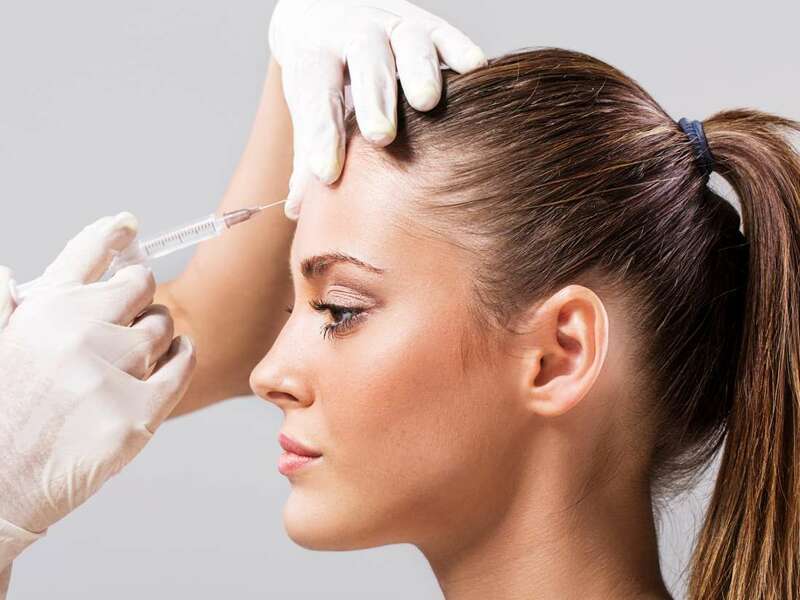 Currently dubbed RT002, the new type of neuromodulator — a wrinkle-busting class of treatments you might recognize by the brand names Botox, Xeomin, or Dysport — is making waves in the world of injectables. If approved by the Food and Drug Administration, it will be the first injection of its kind to last six months — and dermatologists are psyched. “As a doctor, I love having more options and being able to choose the right products for the right patient in the right concentration and formulation,” Doris Day, a dermatologist in New York City and author of Beyond Beautiful, tells Allure. Developed by biotechnology company Revance, the daxibotulinumtoxinA injection just wrapped two clinical trials where it was shown to successfully treat moderate to severe glabellar lines (a.k.a. the furrow lines you get between your brows). “I’m really excited at the data,” says Day, who was not involved with the implementation of the trial but did review the full data set with the scientists who were. “These were two clinical trials that were six months in duration and they had very consistent results from one to the other. I’m really impressed. Another major differentiator is that RT002, unlike the injectables currently on the market, contains no human or animal based components, which Revance says “carry a potential risk of transmitting pathogens.” This is important because, as Wu says, RT002 may appeal to those who want to avoid products with human or animal components. So far, the findings of the trials haven’t found any added risks of using RT002. In addition to the aesthetics, the next-gen neuromodulator is also being tested for therapeutic uses. “Currently, RT002 is in clinical development for the treatment of plantar fasciitis, a chronic, stabbing heel pain that is common in runners; and for the treatment of cervical dystonia, a painful spasmodic condition in which the neck muscles contract involuntarily, causing the head to turn or twist uncontrollably,” a spokesperson for Revance tells Allure. The company is committed to bringing as many therapeutic uses of the injection to market as possible. So far, the data points to game changer status — for your frown lines at the very least. “We will need to be very careful when treating areas that require very small doses, such as the lips, chin, and other areas of the lower face,” cautions Wu. You’ll also have to be extra careful of the doses docs use — with the longer-lasting formula, it might be easier to end up with that unintentional frozen look, she adds.